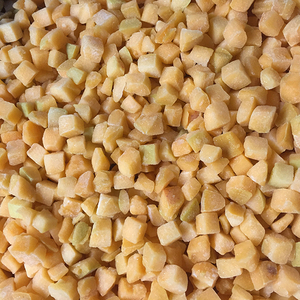 Description Grade A wholesale packing iqf frozen half yellow peach Stype Frozen,IQF Shape Diced, Segments, Halves Processing type Peeled and Blanched Or Unpeeled and Unblanched Season End of July-end of Aug Packing 20x500g/ctn,10x1kg/ctn, 6x2.5lbs/ctn, (Or as per the clients' requirements) Certificates HACCP/ISO/KOSHER/FDA/ECO CERT/BRC Origin Fujian,China Successfully Exported countries USA, Canada,Europe , Israel, and etcetera Related Products Equipment Product Processing Our frozen products,Selected from fresh and safe raw materials, processed in high technology in our reliable factories and supervised by our QC groups, Our company provide customers and consumers the best choice of healthy, tasty foods with the highest quality, most competitive price and outstanding services. Welcome the general domestic and foreign merchants and new-old friends to negotiate the cooperation and business development. 1, Lead time to produce an order: 2-3 weeks 2, Payment terms: T/T, L/C, D/P D/A 3, FOB Port: FOB China Port 4, Delivery terms: FOB, CFR, CIF, EXW Any query,pls do not hesitate to contact us, thank you. 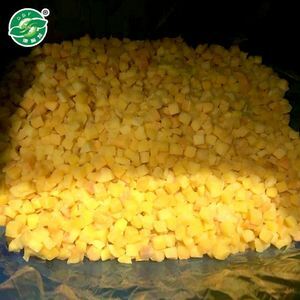 Product Name : Frozen IQF Yellow peach Specification : slices:1/2,1/4,1/8 cuts; dices:6x6mm,10X10mm,15x15mm Package : Outer package: 10kgs carboard carton loose packing; Inner package: 10kg blue PE bag; or 1000g/500g/400g consumer bag;Or any customers' requirements. Standard : Grade A Brand : "LSFOODS" or according to buyers&rsquo; brand Price Terms FOB , CNF , CIF , DDP or DDU MOQ: Any quantity ( if can be mix loading with other products) Or 10tons Loading Capacity 24-25 tons per 40 feet container according to different package; 12tons per 20 feet container Shelf Life : 24 months in -18'C storage Loading Port Chinese Port Delievery Time : 10-20 days after order or receipt of deposit Suppling Period : All year round Certificate ISO, HACCP,GAP,BRC,KOSHER,HAHAL Other Information 1)Clean sorted from very fresh raw materials without residue,damaged or rotten ones; 2)Processed in the experienced factories; 3)Supervised by our QC team; 4)Our products have enjoyed good reputation among the clients from Europe, Japan, Southeast Asia, South Korea, Middle east, USA and Canada. It effectively maintains the nutrients and fragrance of fresh Peach, immediately dissolved and convenient to use. We can also accept L/C or other way according to the customer's requirement. Q:What about the validity of the products9 A: According to the products you ordered. Qingdao Yijiamu Commerce And Trade Co., Ltd.
1. 24 hours custome service, help you to resolve your questions anytime you want. 4. After-sales service: we can in charge of all, if our products have quality problems. 5. Provide a price trend, ensure the clients can know about marketing informations in time. 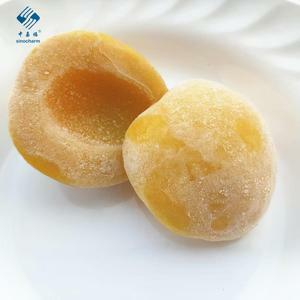 Frozen yellow peach halves Product name&#65306; Frozen Yellow peach Halves/Dices Storage temperature: -18&#8451; Shelf life: 24 months Packing: 10kg*1/carton, or as per customer&rsquo;s request Certificate: ISO, HACCP, BRC, KOSHER, FDA Detailed Images Frozen IQF yellow peach halves Frozen IQF yellow peach dices Production workshop Frozen yellow peach halves in production Frozen yellow peach dices in production Packing & Delivery Delivery Delivery Delivery Related Products Canned yellow peach halves by using Frozen yellow peach Yellow peach puree concentrate by using frozen yellow peach Logistic & Service By sea By trunk By train Food Exhibition Gulfood 2017 Anuga 2017 Moscow 2017 Certificates Semi-Automatic PET Bottle Blowing Machine Bottle Making Machine Bottle Moulding Machine. 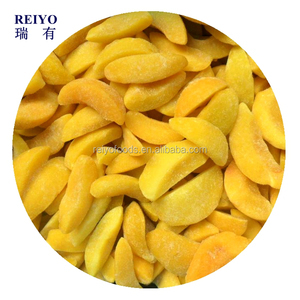 Alibaba.com offers 453 iqf yellow peach products. About 2% of these are canned fruit, 2% are fresh peaches. 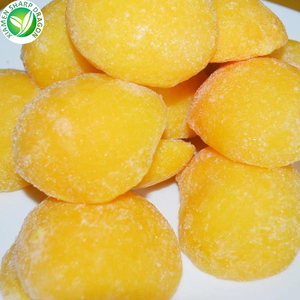 A wide variety of iqf yellow peach options are available to you, such as peach, apricot. You can also choose from fda, brc, and qs. As well as from free samples. 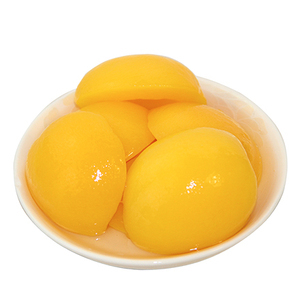 There are 442 iqf yellow peach suppliers, mainly located in Asia. 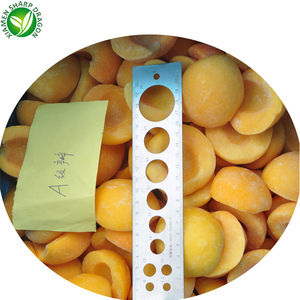 The top supplying countries are China (Mainland), Thailand, and South Africa, which supply 96%, 1%, and 1% of iqf yellow peach respectively. 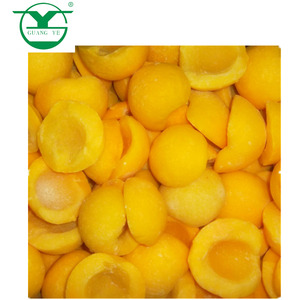 Iqf yellow peach products are most popular in Western Europe, North America, and South America. You can ensure product safety by selecting from certified suppliers, including 56 with HACCP, 53 with ISO9001, and 21 with ISO22000 certification.